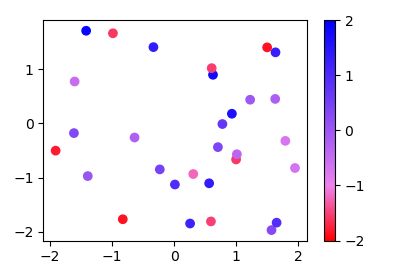 I have the following problem, I want to create my own colormap (red-mix-violet-mix-blue) that maps to values between -2 and +2 and want to use it to color points in my plot. The plot should then have the colorscale to the right. That is how I create the map so far. But I am not really sure if it mixes the colors. That way I map the colors to the values. 1. I can't plot the color scale. 2. I am not completely sure if my scale is creating a continues (smooth) colorscale. and in the interval (0,1). plots one point for every call to plt.plot. This will work for a small number of points, but will become extremely slow for many points. 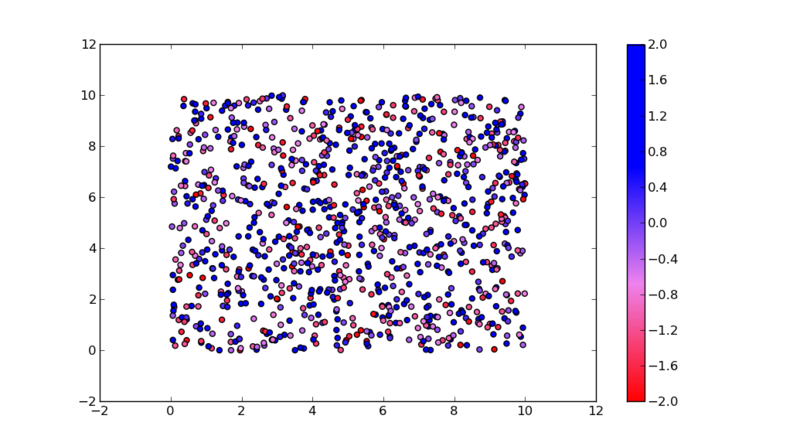 plt.plot can only draw in one color, but plt.scatter can assign a different color to each dot. Thus, plt.scatter is the way to go. Instead of a ListedColormap, which produces a discrete colormap, you may use a LinearSegmentedColormap. This can easily be created from a list using the from_list method. More generally, if you have a list of values (e.g. [-2., -1, 2]) and corresponding colors, (e.g. ["red","violet","blue"]), such that the nth value should correspond to the nth color, you can normalize the values and supply them as tuples to the from_list method. If you want to automate the creating of a custom divergent colormap commonly used for surface plots, this module combined with @unutbu method worked well for me. Not the answer you're looking for? Browse other questions tagged python matplotlib plot or ask your own question. Is there a traffic-light colormap for matplotlib? Barplot colored according a colormap? How to change a 'LinearSegmentedColormap' to a different distribution of color? 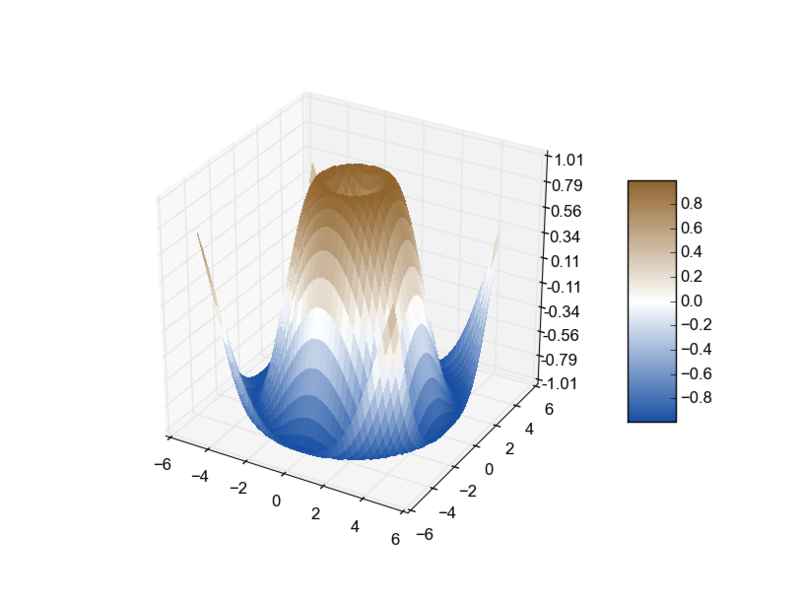 How to use a custom subset of a colormap in a colorbar and pcolosmesh plot? 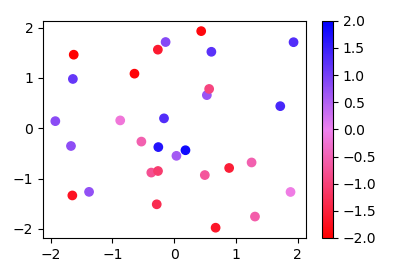 How to generate a new rainbow colormap using matplotlib? How to map/lookup color with matplotlib colormap without making a plot?